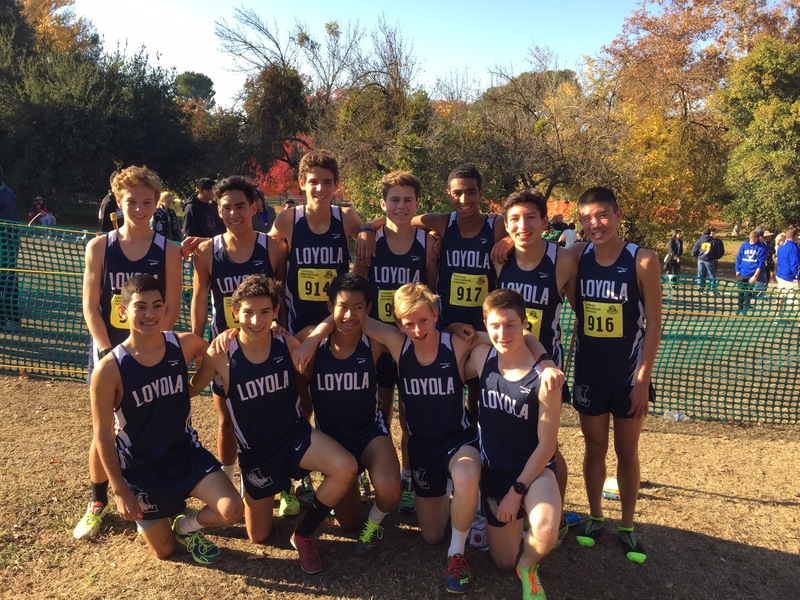 The Loyola varsity cross-country team, led by head coach Dr. Lalo Diaz, won the CIF Division II State Championship at Woodward Park in Fresno on Saturday, Nov. 28. 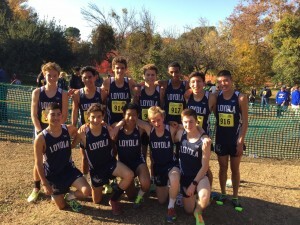 This state title marks the sixth in Loyola history and the first since 2010, making Loyola the sixth school in California to win six state titles, which, according to Coach Diaz, adds Loyola to an elite class of high school cross country powers. The seven-man team included seniors Shane Martin, Preston Ortiz, and Jonathan Piñon; juniors Alejandro Salinas and Charlie Sherman; and sophomores Shane Bissell and Corey Kumamoto. They were accompanied by five alternates: junior Adrian Jauregui and sophomores Brandon Cobian, Liam Jamieson, Joshua Ma and David McAndrews. “The runners were in such great shape at the end of the season because of all of the work that they put in during summer break and early in the season. All of their training added up to a great performance in the state finals,” said Coach Diaz. According to Coach Diaz, the team was successful because of its close packing among all the runners instead of having just one runner carry the team. The gap between the top five runners was 24 seconds, giving the Cubs an advantage over other competitors who had gaps over a minute long. “Charlie Sherman placed 15th overall, and right behind him was Preston Ortiz and Jonathan Piñon [who]placed 16th and 20th, respectively. The great packing from our lead runners led to our victory in Fresno,” said Coach Diaz. Prior to the state finals, the team competed in the CIF Finals at Mt. San Antonio College on Saturday, Nov. 21. The Cubs were very frustrated with their fourth place finish at the CIF Finals because they went into the weekend ranked second in CIF Southern Section and barely claimed a fifth-place finish, according to Sherman. “Not winning the CIF Finals inspired our team to perform better in the State Finals, so we could have a better chance to win,” said Sherman. Piñon attributed the team’s success at the state finals to the Cubs’ other important races, including the Cerritos Invitational, the Mt. Carmel Invitational, the Mission League Finals and the CIF Finals. “Winning at Cerritos and Mt. Carmel was great for building the team’s confidence early in the season and winning the Mission League Finals gave the team more confidence. 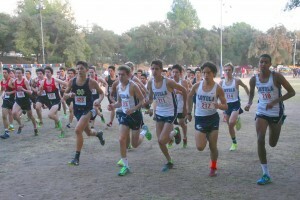 Placing fourth in the CIF Finals motivated our team to work harder and run better,” said Piñon. Although the team wanted to place as high as possible at the State Championships, the realistic goal for the Cubs was a top three finish, according to Coach Diaz. Even though Loyola won the Division II state title, the team did not qualify for Nike Cross Nationals (NXN), a national cross-country meet in Portland, Ore., because the team placed fourth across all divisions, and only the top two teams in each region qualify for NXN. Four at-large berths are awarded to the next best four teams across the nation. In years past, California has received up to two of the four berths; however, this year, none went to California. CIF Division I state champion Great Oak and runner-up Dana Hills High School represented California at NXN on Saturday, Dec. 5. Great Oak won the national championship, and Dana Hills placed third. The last time Loyola qualified as a team to compete at NXN was 2010, the same year the cross-country team won its most recent state title. After surpassing their goals at the CIF State Finals, the Loyola cross-country runners are preparing for the upcoming track season with daily morning runs throughout the downtown Los Angeles area.